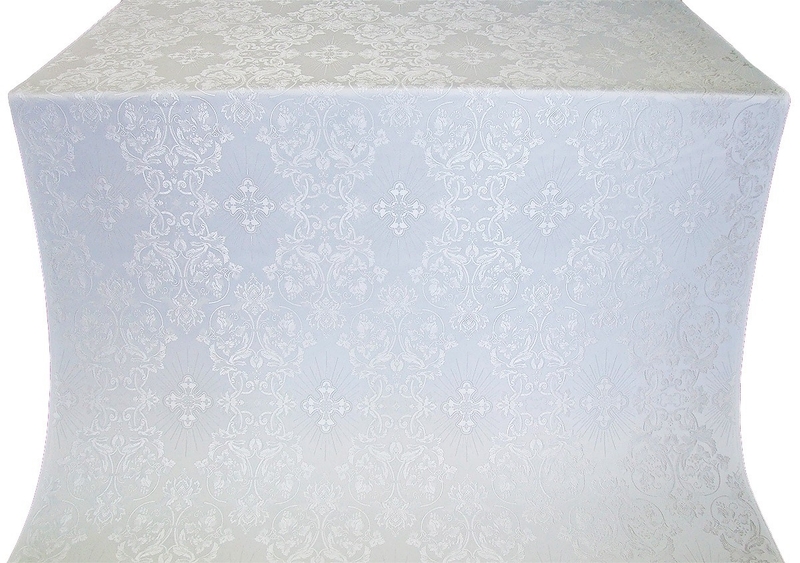 There are so many fabrics that are suitable for constructing liturgical vestments but rayon brocades rank among the most popular due to their affordability, durability and beauty. 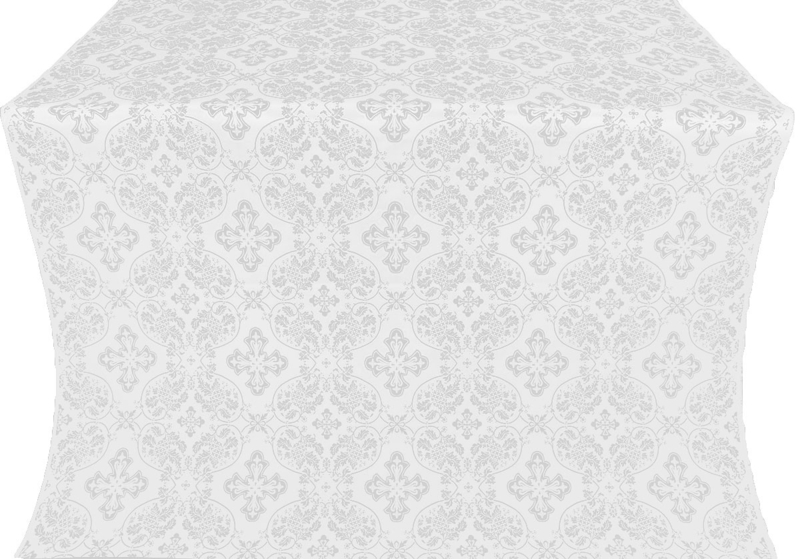 Istok Church Supplies presents an expansive assortment of excellent quality rayon brocades white-silver that are designed to capture attention, induce a sense of wonder and beautify worship services. The Orthodox Christian faith has a long standing tradition of using specific colors to signify various feasts, fasts and festivals in the liturgical calendar. 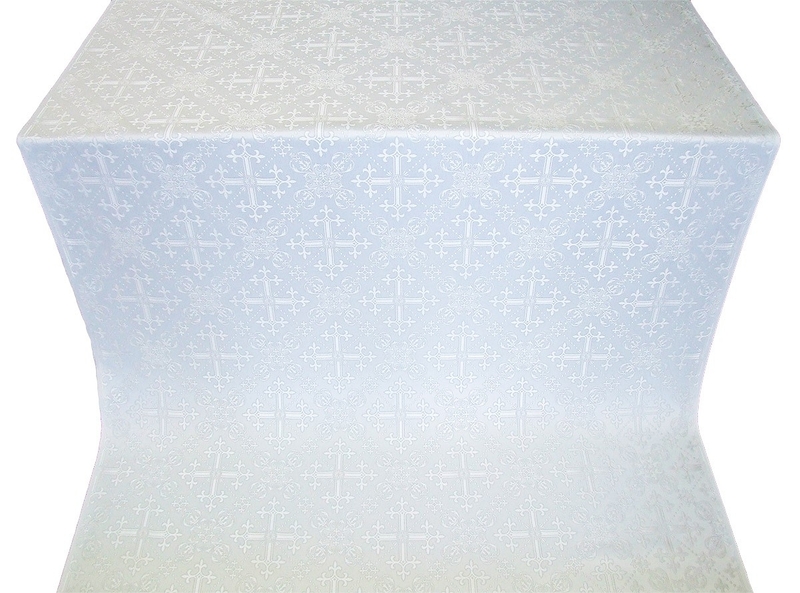 Of course traditions and usage vary from one community to another but broadly speaking, white is the color to commemorate feasts and days of the Lord, the Bodiless Powers and Virgins. 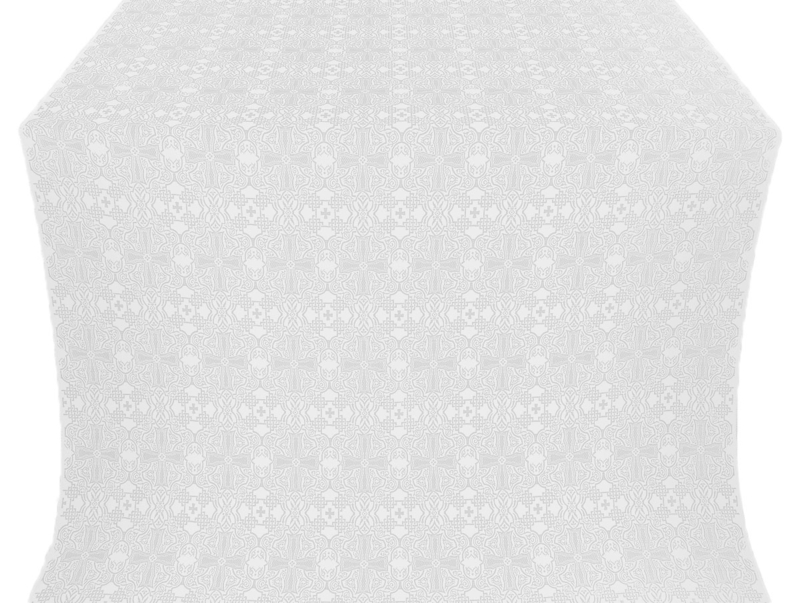 White-silver is a masterful combination that appears deceptive upon first look but is sure to capture attention after liturgical vestment construction. 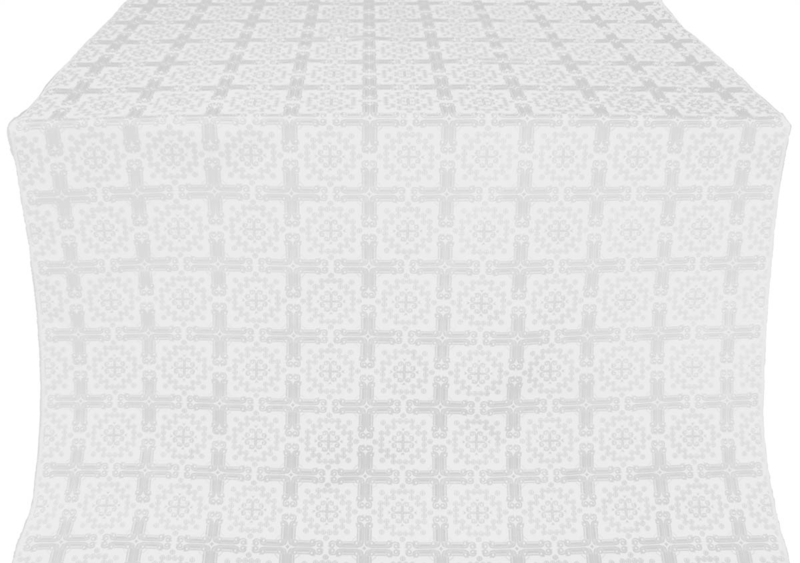 Our rayon brocades white-silver come with a wide variety of patterns that have their roots in Orthodox Christian traditions. With careful planning and meticulous execution, they can help in the construction of all types of stunning liturgical vestments including Bishop’s vestments, Sub Deacon’s vestments, Deacon’s vestments and much more. 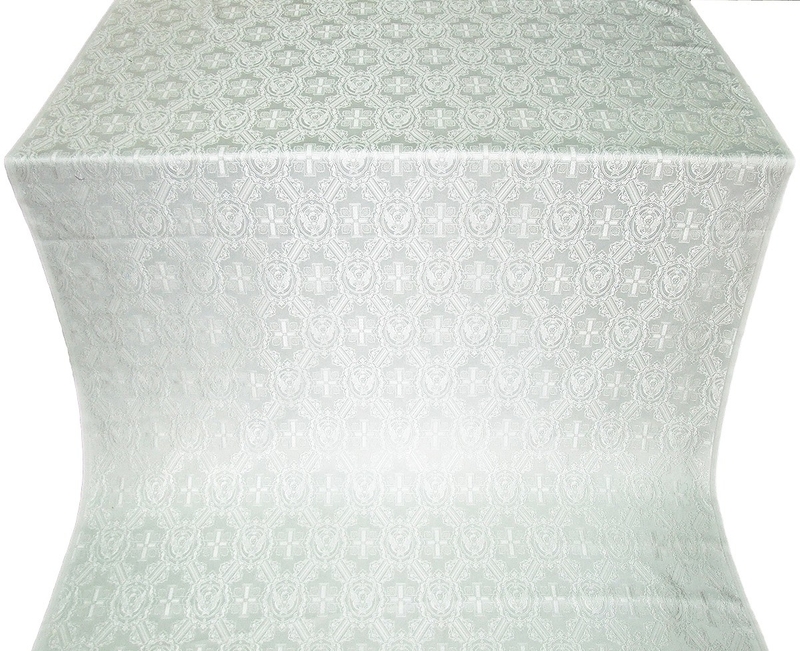 Our brocades are designed to be durable and withstand rigors normally encountered during any important church service. 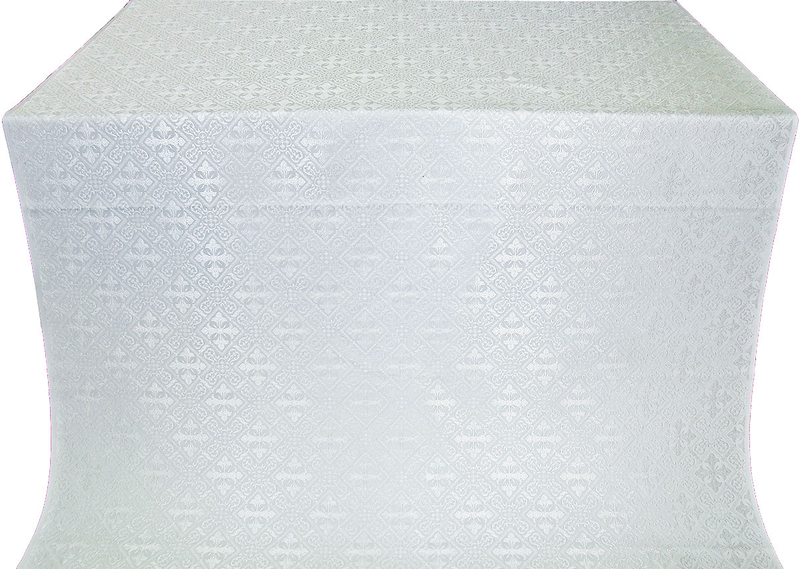 We understand how difficult it is to find the perfect fabric for liturgical vestments in normal fabric stores. 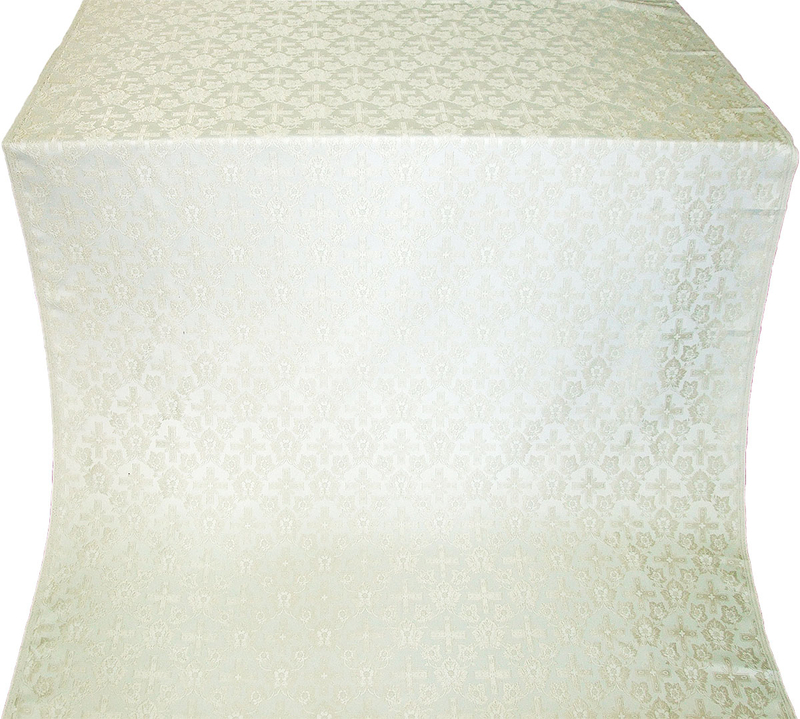 Our aim is to make the process easier by offering a wide selection of rayon brocades white-silver. 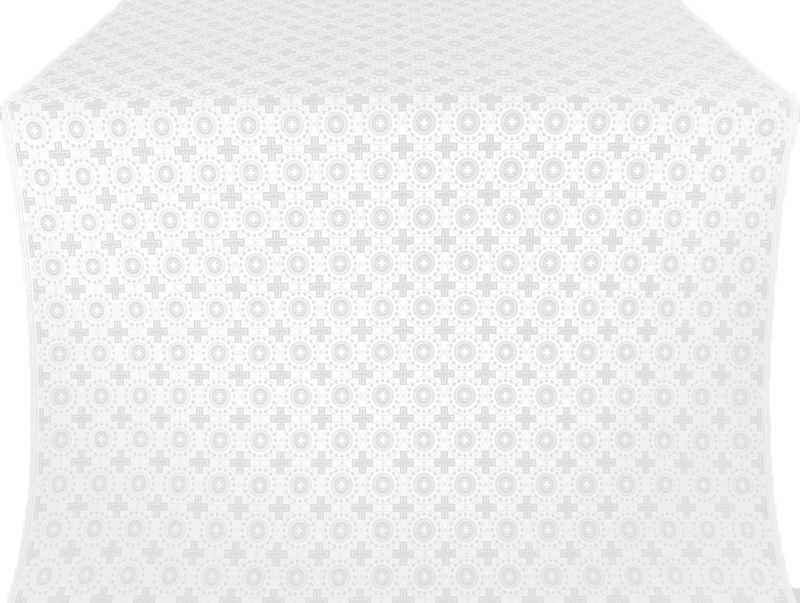 Customers can find all required details such as weight of fabric, dimensions, fabric composition as well as an image of the product. 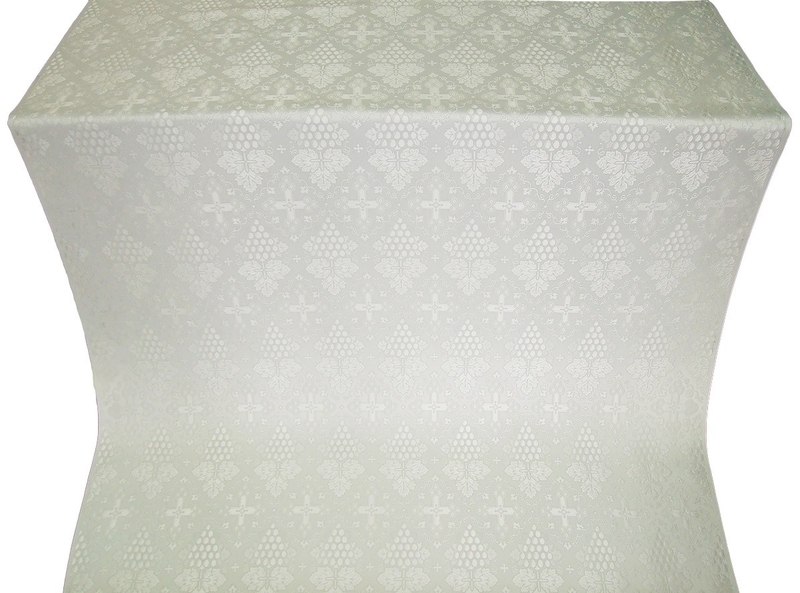 Our rayon brocades are sold by the meter and customers can purchase as many meters as they require. Customers can commission vestment construction to someone else or avail of our bespoke stitching services. 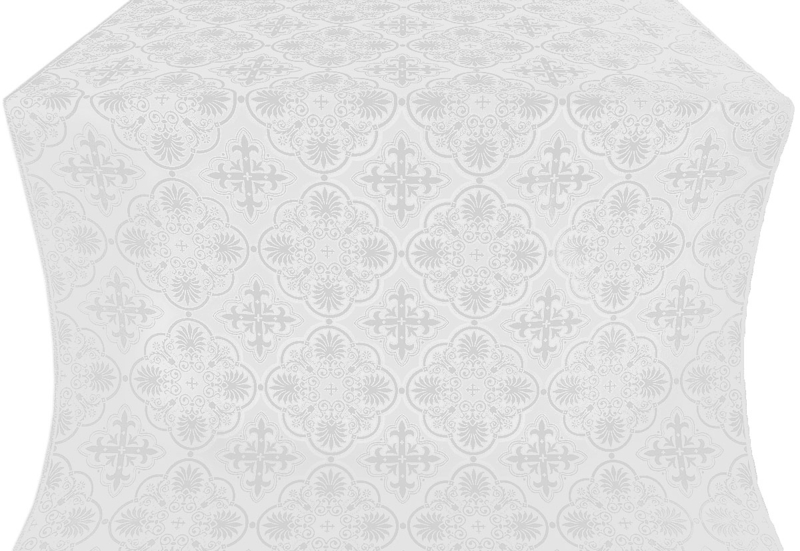 We provide an exhaustive collection of liturgical vestments and vestment sets that can be tailor made to an individual’s specific measurements. 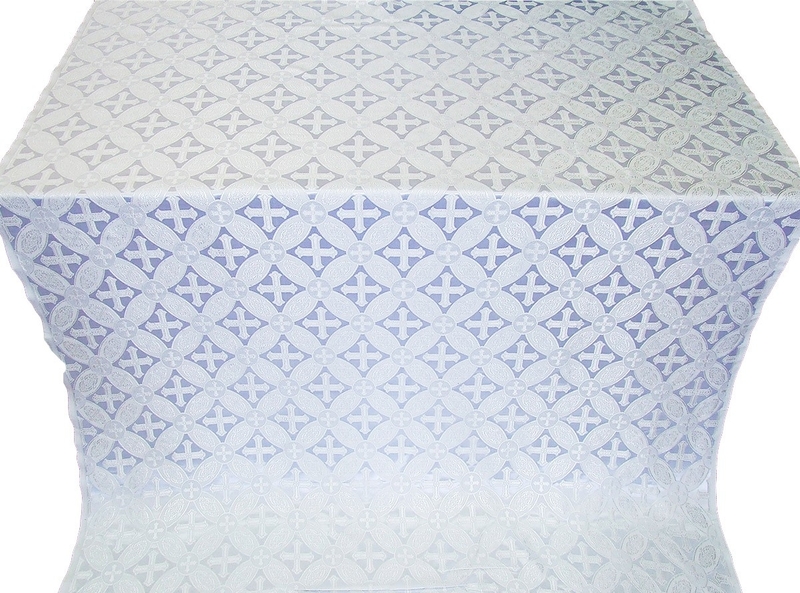 Luxurious rayon brocades with patterns, color combinations and quality you won’t find anywhere else is what we offer!